Junior golfer, Xyra van der Merwe, from Telford Golf Club put on an exceptional display of golf at the qualifying event for the American Golf Junior Championship, held at Gaudet Luce Golf Club, with the youngster from the Shropshire club making it through to the final that will be televised on Sky Sports. 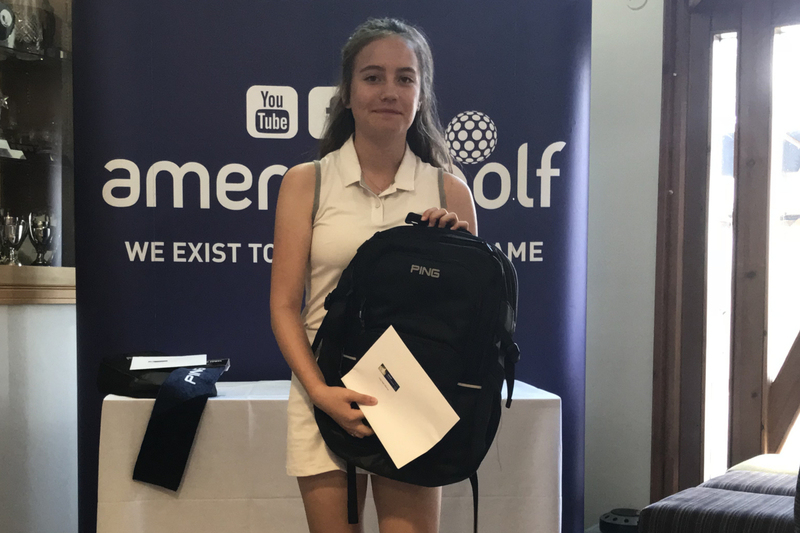 Xyra, 14, played the round of her life, scoring a hugely impressive 42 points off a handicap of 13, finishing 6 points ahead of second place to secure victory in the girls’ nett category. She now progresses to the U.K. & Ireland final at Gainsborough Golf Club, home to tournament sponsor PING. The American Golf Junior Championship will be shown on Sky Sports in October. The event is free to enter and players with and without handicaps can take part in different categories.